On the 2nd of June it was time to kick off the much awaited NZMSA Sports Exchange for 2018. 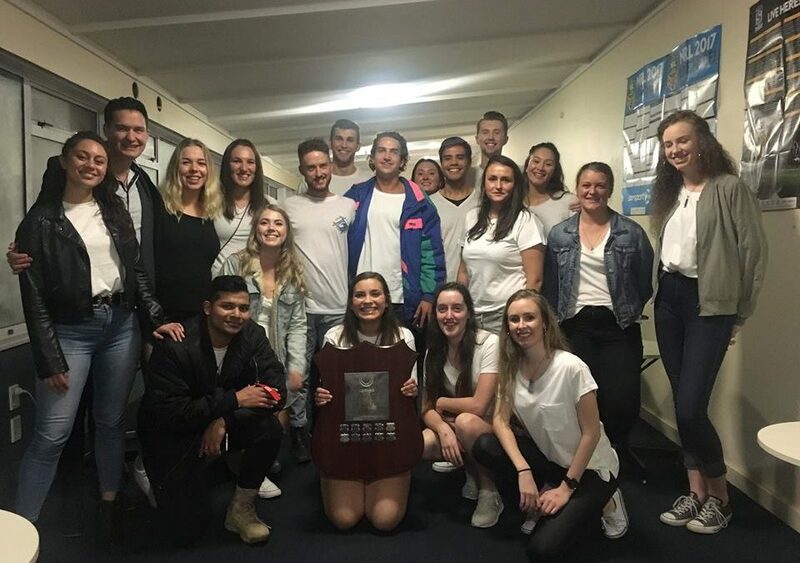 This annual event has been won by Wellington campus the last 2 years and there was plenty of competition to try and take it away. Over 80 people across Auckland, Christchurch and Wellington campuses (Dunedin missing out on the action this year). Saturday was an opportunity for the schools to find their way to the capital. That night, each school had a chance to plan strategy at BYOs across several of the finest karaoke establishments in town. The following morning, the competitors found their way to Wellington East Girls College for the days sport. After a minor delay we began with basketball in the main gym and touch rugby up on the top field. Basketball was followed with Dodgeball and Touch was followed by Football which muddied up the field only a little more. Luckily the wild Wellington weather held out with only a light bit of rain and a little wind. MAS put on a great feed for everyone involved. A couple of snags and other BBQ treats fuelled the hungry athletes, giving them full energy for the final sports of Volleyball and Netball. After these the sport was concluded and we all went for some much needed showers. Dodgeball – Kate Fitzmaurice Also putting her body on the line with a ball straight to the face. Ouch! Most Committed – Ben Ross For the costly mistake of missing his flight but still making it on time. Legend! Once everyone had had their fill of pizza and beer it was time to announce the winner of the highly coveted shield. The defending champions Wellington retained their prize for another year after just scraping ahead of Auckland and Christchurch. And what a better way to celebrate the win than to head to Circus Bar for the Graffiti Stein put on by the Wellington Medical School Association. It’s the least we could do to console the other unlucky campuses. After a night of celebration the following morning had Yoga to help counter the DOMS that would surely occur from the day before. Although only 3 actually made it to the class there were plenty that showed up for the delicious brunch that followed. All provided by the Bhakti Lounge. All in all, it was an awesome weekend to share with everyone that was involved. Full credit to the boys (and girls) and sport was the winner on the day. Great to see so many people being a part of the event and can’t wait to see you all next year to try and win the shield from Wellington!